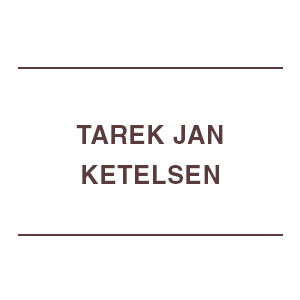 Tarek Ketelsen is an environmental engineer with more than a decade of experience in hydrological, geomorphological and environmental impact assessments of development plans and projects. He has worked on projects in Australia, Cambodia, Laos, Thailand, Vietnam, China, Indonesia, Malaysia, Mongolia, Myanmar, Nepal, Tanzania, Siberia and the Occupied Palestinian Territories. From 2009 to September 2015, Tarek was the Technical Director of the International Centre for Environmental Management (ICEM) where he oversaw the implementation of more than 20 projects globally. Previously, he has worked as part of a DFAT initiative to build capacity of the Vietnamese Southern Institute of Water Resource Planning (SIWRP) in EIA methodologies for irrigation and water control infrastructure in the Mekong Delta. Tarek has also worked as a water resource engineer in the Australian mining industry, undertaking flood studies and designing pumping, water supply systems and flood control structures for mines and mining towns in the Pilbara and Goldfields regions; as well as a water engineer in the design and construction of biodiesel and edible oil extraction plants in Malaysia. Tarek’s key capabilities are in the creative application of integrated environmental assessment methodologies to guide stakeholders through an evidence-based, deliberative, process that draws science and diverse interests to bear on planning and policy processes. This capacity has been demonstrated in diverse fields ranging from processes to inform transboundary hydropower development planning in the Mekong River, to climate change vulnerability and adaptation planning processes in Nepal, to water audits in remote, water-scarce mine-towns of the Australian Pilbara. (SEA), ESIA and Cumulative Impact Assessments (CIA)). in adaptation planning for ecosystems and infrastructure. modelling of pipe and floodplain flows. • Design and facilitation of consultation platforms for multiple stakeholders. Myanmar, Nepal as well as other South East Asian nations such as Vietnam and Thailand. Bank, World Bank Group, DFAT, USAID.